Beirut: Broadnet offers end-to-end communication solutions for global companies with an aim to make them perform exceptionally well. The services and support solutions improve a business’s productivity outcomes by uncomplicating their challenges, simplifying their work structure, extending their decision-making capabilities. The company’s SMS messaging service is available on an international level. 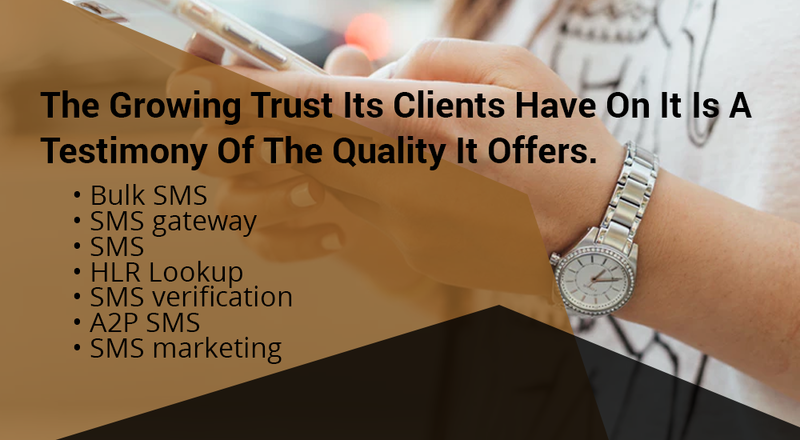 Its clients can reach just about any reachable operator with 99% Delivery rate, and in addition to that it has back up routes that wouldn’t allow any mistake in the SMS Delivery. Whether it is any of the following services and more aligned solutions, Broadnet always pride in offering state of the art services at an affordable price. The growing trust its clients have on it is a testimony of the quality it offers. Other than these, the company offers mobile application development , app store optimization, app monetization, search engine optimization, innovation solution, SMS marketing, Bulk SMS in UAE etc. The always on support, coverage, and prices make Broadnet a superior leader in the space. To learn more about the services offered by Broadnet, please visit the website. Broadnet S.A.R.L is a telecommunication company; which was established in 2003. Broadnet S.A.R.L is your long-term SMS solution provider. It provides a fully operational Bulk SMS Platform that can adapt to new business environments. This platform would enable you to achieve highest quality service and effective support compliance handling.